El Salvador, Guatemala and Honduras recently filed a protest against the United States with the Inter-American Commission on Human Rights (IACHR). The protest petition alleges the Trump administration’s prohibition on illegal aliens applying for asylum violates the human rights of the petitioning states’ citizens. (Mexico has also joined in the protest but for reasons specific to its own political situation, which will not be addressed here.) Sadly, this is only the latest in a series of absurd legal actions connected with the migrant caravan. Yes, you read that correctly. 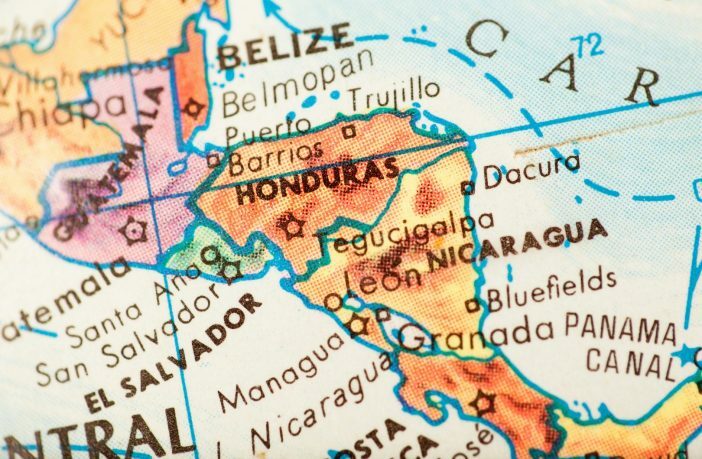 El Salvador, Guatemala and Honduras – the NorthernTriangle countries – are complaining because the U.S. won’t allow people to lodge fraudulent allegations of political persecution against them. It’s roughly akin to a criminal defendant kvetching because the judge dismissed all charges and set him free. To begin with the nations of the Northern Triangle all have failing economies. All three countries could benefit from a further infusion of stable currency. And the best source for hard cash is remittance payments made by Northern Triangle citizens living abroad. Money sent home by migrants makes up 19.5% of Honduras’ GDP, 18.3% of El Salvador’s and 11.5% of Guatemala’s, according to Remittances to Latin America and the Caribbean 2017. A study by the Pew Research Center indicates that that 80% of Salvadoran, Guatemalan and Honduran expatriates live in the United States. The inescapable conclusion: most of the money flowing into the Northern Triangle consists of American dollars earned from jobs in the U.S. economy. In addition, all three countries are on the brink of political collapse. If you’re a sketchy leader trying to keep power in a failing state, the easiest way to avoid political change is to get rid of those willing to criticize the government. And encouraging immigration is a quick, bloodless way to export political troublemakers. That’s why most members of the migrant caravans are young men (the demographic that typically spearheads violent revolution) – despite the mainstream media’s insistence that there is a predominance of women and children. The evidence that El Salvador, Guatemala and Honduras care more about shedding surplus population than protecting the human rights of their citizens is unmistakable. Countries who care about their people engage in direct diplomacy when confronted with a legitimate crisis. They ask friends and neighbors for assistance, rather than filing pointless protests in kangaroo courts like the IACHR. The IACHR is a component of the Organization of American States (a type of “mini-UN” for the Americas). Both entities are “consultative organizations” with no real power, relics of failed globalist experiments by Woodrow Wilson and Franklin Delano Roosevelt. And the very notion that Latin American states with questionable civil rights records can call the U.S. – with the freest and fairest justice system in the world – to account for human rights abuses is absolutely ridiculous. But, while the protest by the Northern Triangle countries is clearly an exercise in political theater, it demonstrates that parties both inside and outside the United States are intent on defeating the Trump administration’s immigration enforcement agenda– for their own reasons. Those reasons don’t necessarily coincide with the best interests of the caravan members. Even more troubling, they run directly contrary to the best interests of the American people. And that’s why U.S. voters should be pushing Congress to support measures that put Americans first – like a border wall, the mandatory use of E-Verify and ending abuses of our overly generous asylum system. President Trump is NOT stopping anyone from filing for asylum.. HE SIMPLY WANTS IT DONE LEGALLY .. DO NOT ENTER OUR COUNTRY ILLEGALLY… WE HAVE THAT RIGHT TO STOP ANYONE FROM ENTERING ILLEGALLY!!! How many sought US sanctuary during the 80s wars in Cent America then?? vs now?? This is Planned NOT spotanous migration like Vietnam Boat people etc. It is a very insightful article, but I disagree with one of its conclusions. “American Nations” DO NOT “Abandon All Logic in Latest Legal Protest”. They just have a different logic. It is a logic of weak predator and enemy. Seems that Trump ought to look into termination of money remittances to those countries. I agree with our desperate need for a border wall, E-verify, and reforming the refuge/asylum programs. But there are other changes we need just as badly such as: 1. New citizenship policy requiring citizen parents, 2. Denying access to ANY public assistance services including free medical care, tax refunds, SS/medicare for ANY noncitizens, illegal/legal/TPS/refugees/asylees etc. 3. Either end legal immigration of any kind except business and tourist for at least 25 years OR limit it, in total all kinds, to a maximum of 10,000 annually but restricted to THOSE proficient in English, under 50 years, no health issues/disabilities, financially solvent for all needs for at least 10 years, educated/ some college/specialized training preferred, desirous to become American giving up any other citizenship and allegiances, no criminal acts of any kind, no one from third world nations, probationary period of 5 years, etc. 4. Create law permanently ending chain migration and Lottery VISAs, TPS, and any other such type programs. 5. End the student VISA program until it can be reformed. 6. End ALL work VISA programs and move our own citizens off welfare and back into the workforce, restricting all welfare services to the truly infirm citizens. 6. Begin requiring ALL foreign illegals in our country to return to THEIR countries along with all relatives and anchor babies. 7. Require ALL legal immigrants/refugees/asylees having been here more than 5 years without becoming a citizen and without proficiency in English or ANY criminal record to return to THEIR countries. 8. Immediately, make it illegal: to print ANY documents, signs, tests, etc, in any language but English, to hire any person not proficient in English, to require any employee to speak any language but English, to end any/all bilingual education in our public schools, to find a way to prohibit citizens of same ethnicity (i.e., Mexican) from developing their own neighborhood enclave, to end any/all changes in work place policies/military policies/etc purely for religious reasons. 9. Disallowing noncitizens holding ANY job in government local/state/federal, in law enforcement of any kind/any level, in the teaching field at any level, in the legal field at any level, in any branch of the military/Coast Guard/National Guard. 10. Disallow all political organizations representing ONLY a specific ethnic group (i.e., LaRaza, CAIR). 11. Require ALL Inmans of Muslim mosques be American citizens. And NO mosques built with foreign funds. And no teaching about Islam in any USA public school. And no Muslim specific dress, other than hair coverings, in public. But ALL official photos (identification, drivers license, etc) must be without the hair covering. Marilyn you need to contact your Senators and Representatives. Right now in Congress is a bill that will double the number of H-2B immigrants from 66,000 to 132,000 permanently. These are the fast food, hotel, landscaping, etc types of jobs. It has bipartisan support but can still be defeated. In addition there is another bill in Congress that would remove the cap for H-1B visas. These are mostly the high tech jobs that are filled by those from India and SE Asia. Companies hire these people because they will work a lot cheaper than American doing the same job. We need the wall to help stop the drugs coming across the border. As to stopping illegal immigration, you are right, we need Congress to mandate E-Verify nationwide for all employers and have it strictly enforced. I would even go a step farther. When an illegal is picked up he should be questioned as to where he worked and that trigger an I-9 audit. If an employer will hire 1 illegal odds are they’ve hired others. They want to actually destroy this country The Hope and change that they wanted was mostly change they want to destroy American. They do not have to like or approve of AMERICAN POLICIES. if you don’t like them, the simple and easiest fix is to stay in your own country, where you can throw rock, riot, do what it is you do. I and many of my fellow AMERICANS, will appreciate it. Wonderful article. I suggest we break off from IACHR. AMERICA FIRST. Why be part of an organization that just wants all take and no give? We don’t need that at this time when we are a country that has so much debt. We cannot just give and give until we have absolutely nothing left to give and are in the same situation as other failing countries. Hillary was in Britain once again spewing her double talking, double dealing nonsense in an interview with The Guardian. She claimed that many of Trump supporters were “former members of the KKK”. Pretty ironic since she and other Democrats elected the late Robert Byrd of West Virginia to a leadership position in the Senate in spite of the fact that he was a recruiter for the group in his early life. She also claimed that Trump was against women’s rights and also “Islamophobic”. That’s incredibly hypocritical because she refuses to utter a word about Islam’s treatment of women and the reality that under sharia they are nothing more than possessions of their male relatives. Afterward she tweeted all the usual contradictory horse manure that people like her use to cover both sides of the issue. She wants “comprehensive immigration reform” that “fixes the family visa backlog issue and upholds the rule of law”. She says that, while at the same time calling for “a full path to citizenship” for illegals. The “family visa backlog issue” is never going to fixed enough for immigration advocates. It starts with the assumption that any person in another country has the right to come here, no matter what we think on the issue. As for “rule of law” she proposes to make citizens of those who have chosen to ignore our laws by being here illegally and working with false or stolen ID and are in many cases getting welfare benefits. She says all this is “not open borders, but…”. And of course, whenever that claim is followed by “but”, that is exactly what is being proposed. What is there about anything she said that would discourage illegal entry? There are no punishments, only incentives for more people to come. That’s her though. Say whatever you need to say at the moment and her sycophants will lap it up. Just a year before the primary against Bernie she claimed free college tuition was too expensive and unnecessary. Then he was for it and she switched the other way.